One of the most elementary shifts in mindset you can make when you’re looking to improve yours or others’ lives, is to become a producer and start a movement. Drop the consumer mindset and look at what other people are producing, to consider what YOU want to create. Shift your mindset to become a producer and ask yourself what types of things you want to be known for. The definition of a brand is basically what people think when they hear its name. John D. Rockefeller? Oil. Philanthropic creation and sharing of wealth. Industrial Revolution. Carnegie? Steel. Becoming the wealthiest man on earth. The contribution to thousands of educational facilities. Sam Walton? Wal-Mart. Employing hundreds of thousands of people. Producing billions in revenue and profit. Offering profit-sharing down to the last associate. Henry Ford? Automobiles. The assembly line, mass production and the elimination of horse-drawn buggies. Thomas Edison? Electricity & other inventions. The light bulb, the motion picture, the phonograph, the impossibility of accepting failure. Eric Thomas? Motivation. Inspiration, hustle, stick-to-it-iveness. Gary Vaynerchuk? Social media, spreading ideas to the viral spheres, contributing your message. When people think of your name or your brand, they have certain associations that come with it, inevitably based on what you’ve done and how you learned to become a producer. The beauty is that you get to decide what these will be. 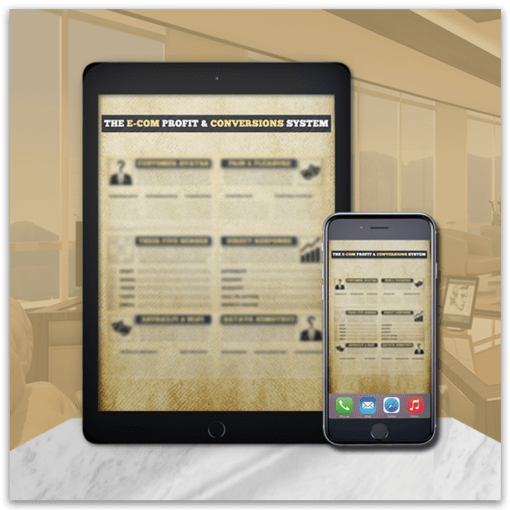 Don’t be sold on the new smart phone’s advertising tactics, instead pickup a sales book and understand from the company’s point of view what their incentives are and how they sell so much. You will need to create a movement and become a salesperson to know how to convince people to buy things. This is not a harmful practice. You want to convince people who are in the market and who need your services, that you’re the best one with them. You are bridging the gap between their objections and your value. Even if you have the best product in the world, it’s imperative to learn how to sell it to the right people, so you can help them out further, and increase your revenue. From now on, view advertisements, sales copy, and up-sells through the advertiser’s eyes as opposed to the consumer’s. Learn the effective tactics they are implementing to sell you on products and services. Charlie Munger’s psychological biases would be a great place to start understanding why we do what we do, how to leverage heuristics, and how to get to your desired outcome. Do not be enticed to buy the newest running shoes, but instead ask what psychological triggers they are using to get you to automatically want them. When you realize that you will have to sell one way or another you realize that you must pick this stuff up to be successful in your endeavors. Changing a consumer mind to become a producer mind is one of the strongest shifts you can make on your path to wealth. Once you have made the choice to always be creating value for others to improve their lives and profit simultaneously, what is next? It is time to decide what you stand for. It’s time to start a movement that has to do with what you believe in and is relevant to your strengths. What is most important to you, and what are you good at? Not what your mother thinks you’re good at, but truly what strangers have told you that you’re awesome at. What do completely unbiased people think you’re talented at? We’ve been told so many times by many average achievers that we should try to be well-rounded and improve our weaknesses so we can become better overall. Let’s focus on our stronger aspects that are already a step above most people, and specialize in those! Start a movement around the things you have a head start on. Make it your mission to be the best at that specific sub-niche. Thoreau argued against the specialization of certain tasks, claiming that it separated us from our actual need. In his opinion, we should build all that we need to use and consume no more. However, after leaving the Industrial Revolution and emerging into mass production and international trade, countries became powerhouses for specialized goods. There are many reasons this happened, among them the natural strengths and availability of resources in these regions. For instance, if Asian regions weren’t particularly abundant in Quartz and Silica, then other regions would have produced more china than was made in Asia. If South America weren’t such a great place to grow tropical fruits and tobacco in its humid climates, there would be less of those products coming in from these regions. They used what they had to their advantage and built free market trade economies on them. It works this way with our individual skills and uniqueness too. We can do our best with what we have, or we can submit to finding our natural strengths, bringing them out, and chisel away the imperfections until we have a Greek David in front of us. Why would we just pull out any type of rock (our flaws) and work on it so it could become average? We are all completely unique. We were put here to do something no one else can do in our way. If you’re focused on carving your own way there is no way you can lose unless you give up. Also with this mindset, competition is an illusion. After finding something you are good at and are willing to pursue for a matter of years, you must decide on the type of person you want to become. Your conscious mind is utilized to choose to see this type of person in your head, while through repetition your subconscious mind works on the actual ways to achieve it. In order to build your empire, you will need to visualize what it will look like. As in: whom you are serving, what you want to accomplish, where you want to be known, and what you want to leave behind when you’re gone. When you can see clearly what you’re looking to complete, everything subsequently gets easier to decide on. You just make decisions based on what you’re currently working with, and always move forward in that direction. You’ll need to see, hear and touch the reality in your head before you are to live it out. It’s similar to picking up something in the dark. When you’re scanning the table with your hands for that pencil, you might move right too far, over-correct to the left too much, and zigzag your way to the pencil you want to grasp. Stop worrying so much about the path and recognize that since you’ve consciously set a goal, and you constantly take action, you will absolutely reach it should you never quit. Quitting is not even in the option book. Ever. This phase is action time. You’ve done your goal setting, your planning, and you’re ready to hop into this thing and start changing lives. All the enthusiasm and preparedness is excellent, but it’s crucial to understand that everything takes time, and it will take longer than you think to build up a consistent movement. That thought shouldn’t even matter one bit to you because you’re determined. You know you will get all the success you require, and you’re willing to do whatever it takes. This is the outlook of a winner. It’s open to creative interpretation what you will choose to take action on, but it’s time to decide on a medium. Utilize a platform in which you can communicate ideas, and stick with it until it’s successful. Next, you can move on to what other parts you want to optimize. For now, pick a channel and get to gettin’. Discover the people whose lives you want to affect, create what you’re most moved to create, and do not stop until you feel you’ve done your part. For most ambitious people, this time never comes. That is okay. There is always something greater to achieve. You’re looking to build something that is incredible, and it’s never been done before, because you were only born once. Go forth and become a producer of something worthwhile. You’re the only one who can create a movement in exactly in your way.